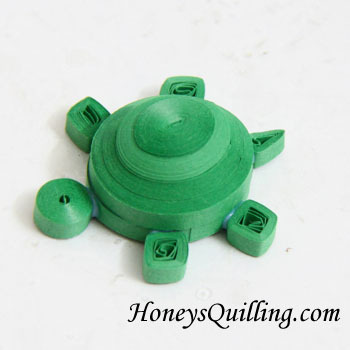 Today I am sharing with you one of my favorite quilling pieces – an adorable 3D turtle! This works as a great pendant, but can be used for any other use as well. It would make a great fridge magnet! 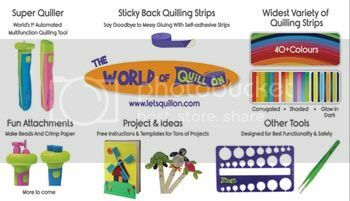 If you need to start with beginning quilling instructions, click here! The instructions will show and describe how to make one turtle. 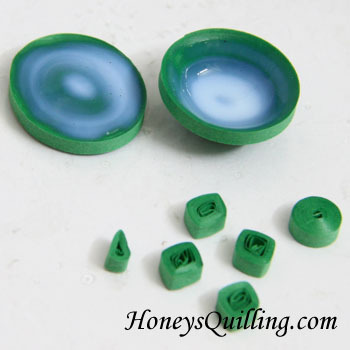 Make as many as you need for your crafts and/or jewelry. Feel free to exchange the colors for the colors of your choice! Glue four 24” strips of green paper end to end so you have a piece that is 96” long. Repeat with the other four 24” strips. These will be used for the top and bottom of the turtle shells. Roll each 96” long strip into a circle. Carefully remove it from the tool as shown, and glue it closed. Do not let it expand! To get the roll off of the tool without the middle sticking to the tool and coming undone, make sure to have your thumbnail touching the barrel of the tool right under the roll. When you remove it, the middle of the roll will be forced off of the tool by your thumbnail and therefore come off more easily. If you wish your turtle to have a round shell, leave the two circles as they are. If you want it to have a more oval shaped shell, then shape it into an oval as shown. 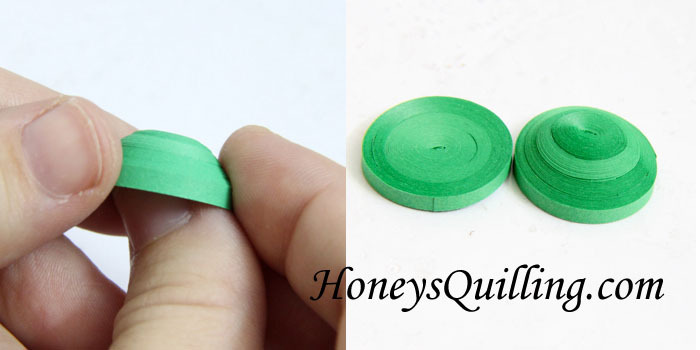 The roll is pretty tight, so it’s not easy to get it into an oval shape, you have to press hard. But you have to be careful so you don’t squish it or make it unravel. Make sure your two scrolls are the same shape. One of the rolls you will leave flat for the bottom of the shell. The other you need to shape into a mound for the top of the shell. Use your thumb/finger to push gently on the roll, shaping it into a mound as shown. It can be shallow or deep, as you want. To make sure that the pieces of the shell do not collapse or get misshapen, coat them with a layer of glue or sealant. Here I am using PPA (Perfect Paper Adhesive), which works as both a glue and a sealant/topcoat. Roll the rest of the pieces for the body. Roll a 12” length into a tight roll for the head. Roll four 6” strips for the legs. Let them expand just slightly, then glue them shut and shape them into squares for the legs. Roll the 3” strip and let it expand a bit and shape it into a skinny triangle for the tail. 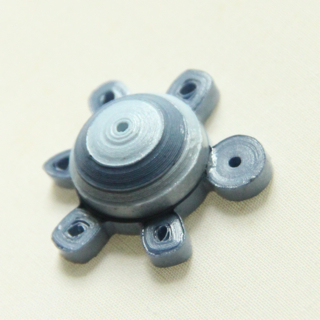 To make extra sure that your shell does not collapse, it is a good idea to put a support roll inside. Depending on how deep you made your shell you’ll need 1 or 2 scrolls inside the shell. For this turtle I used two 6” lengths. I let the rolls expand just slightly and then glued them both into the top shell, one on top of the other as shown below. Next it’s time to glue the top of the shell to the bottom. Add a strip of glue around the edge of the base. It is okay if the glue/sealant has not dried all the way yet. Place the top shell onto the bottom and press closed, making sure it is even all the way around. Glue the head, legs, and tail on. Now you need to let it dry completely before going to the next step, preferably for an hour or two just to make sure the limbs don’t fall off while you are adding the border. If you do not want to add the border as shown in the next step, then you are finished! This step is optional. 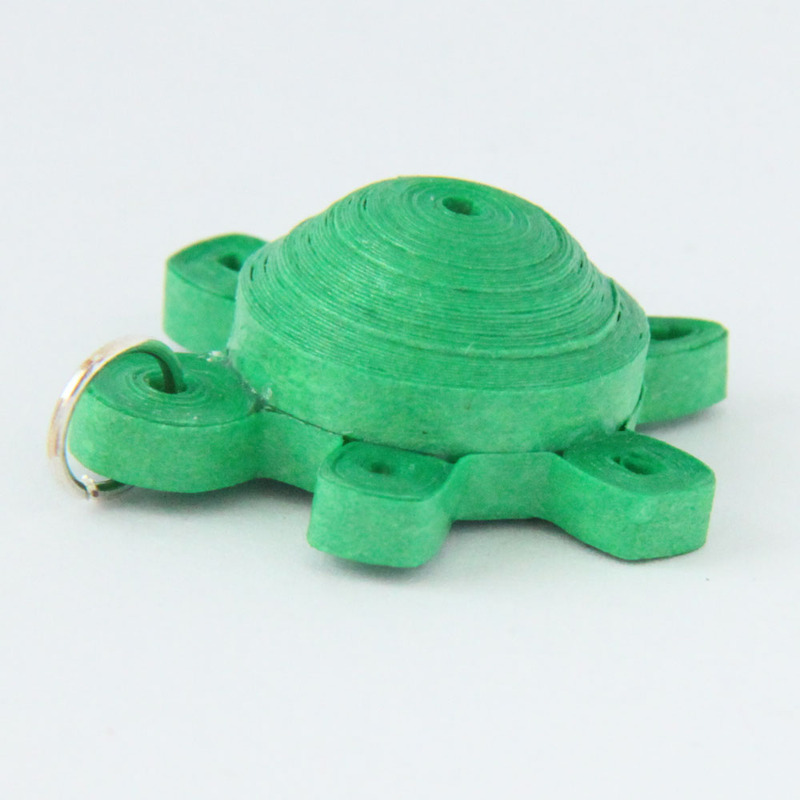 It is highly recommended if you are going to use your turtle as jewelry or magnets as it will make it much more sturdy. First, put dots of glue all the way around base of the body, head, legs, and tail. Take the remaining 12” strip of paper and start gluing it around the base, wrapping around the head and limbs as you go. The easiest way to do this is to use a pointed tool, such as a quilling needle tool (though you can also use a toothpick) to make sure it is wrapping tightly around the limbs. Press the tool into all the corners where the limbs meet the body, getting it nice and snug. You won’t need the entire length of paper. When you have gone around once rip or cut the paper and glue the end down. Your turtle is now finished and should look something like this! It is not completely dry yet in these photos. 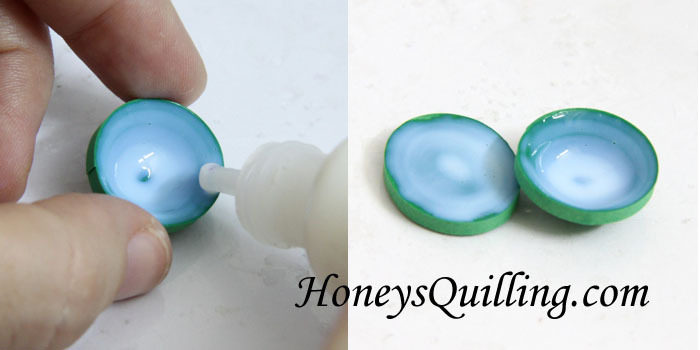 Once it is dry you will not see the glue spots of course. At this point you can be finished, or you can continue on to add sealant to your turtle to make it water resistant. If you are using it as a card decoration, inside a closed frame, or something similar you do not need to add sealant If you are using it as a toy, a magnet, jewelry, or accessories, then you might want to add the sealant. It will protect it just in case it gets wet and will also make it more sturdy so it won’t get squashed. 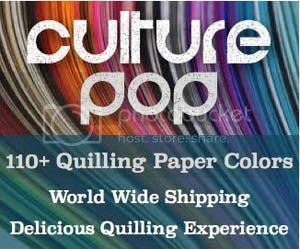 Click here to read several detailed posts about adding sealant to your paper quilled projects. In brief I would suggest using a liquid sealer as a base coat. This will soak into the paper and make it stiff when it dries. Then a topcoat like Diamond Glaze , Crystal Coat Glaze , or PPA can be used to give extra water resistance, protection, and shine. With PPA you can also choose matte if you do not want a glossy/shiny finish. This turtle tutorial is also part of a multi-pattern tutorial that I have for sale in my Etsy shop. It is available as a digital download. In addition to the turtle tutorial you get the popular dolphin, seahorse, and elephant patterns, not available anywhere else! 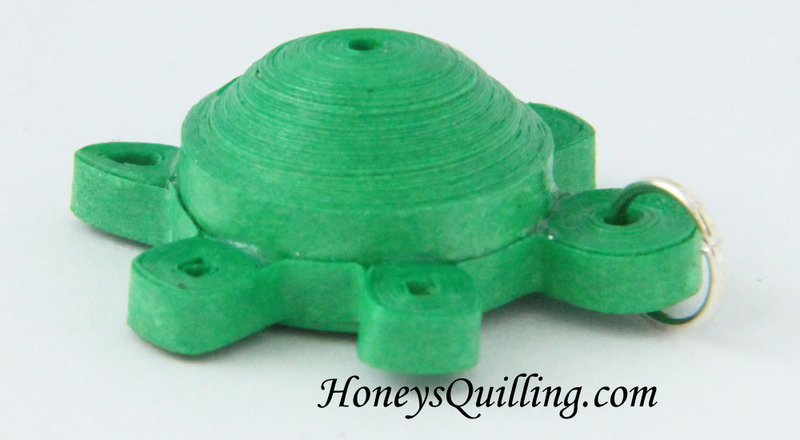 If you’re dying to have your own turtle pendant, but you don’t have time to make your own, I also have the finished pendant available for sale in my Zibbet shop here. You can custom order it in any color combo you wish! I always enjoy your posts! I have purchased several of your patterns and have never been disappointed. I made your cute turtle and he sits on my desk as my mascot (as my grandchildren said)!!! Keep up the good work! Hi Cathy! Thanks for the comment and I’m glad you’ve enjoyed all of the tutorials! Hoping to finish some more soon, my kids are keeping me so busy that it’s hard to find time! wowww!!! Honey your posts are just awesome.